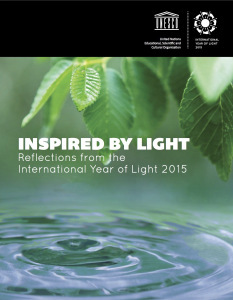 … is the title of a book, published earlier this year, reflecting on UNESCO’s 2015 International Year of Light. It is certainly worth a look – especially if you missed the range of activities throughout last year – and have a serious interest in how light affects us all. And you can check out the light2015blog as well.